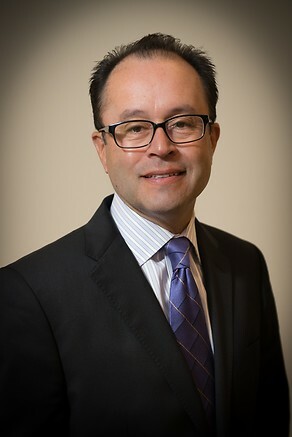 For three decades, Kenneth I. Trujillo has represented U.S. and foreign corporations and government entities, executives, lawyers, and other individuals with particular emphasis on contract disputes, securities, antitrust, education, and other regulatory issues. His practice involves complex civil litigation and class actions, and he counsels clients on regulatory matters and internal investigations. Mr. Trujillo has also represented numerous public officials and government entities, including city council members, mayors, governors, states, cities and Native American tribes in civil and criminal matters. He has extensive jury trial experience having tried to verdict civil and criminal cases ranging from personal injury to civil rights to complex class actions. Beyond his litigation experience, Mr. Trujillo has broad experience in planning of large-scale projects ranging from sports stadiums to casinos. Mr. Trujillo was the principal U.S. outside counsel for Ferrocarriles Nacionales de Mexico, the Mexican national railway, for years until it was privatized, representing it in U.S. litigation matters and cross border transactions. In addition, he represented numerous Mexican companies in cross border disputes regarding intellectual property, licensing and joint ventures, and has represented numerous U.S. and Mexican companies in transactions, disputes and the like. Mr. Trujillo has led several trade missions to Mexico, Panama, Argentina, Chile, Colombia, Peru and the Dominican Republic. Mr. Trujillo served as the City Solicitor of Philadelphia and as an Assistant U.S. Attorney. As City Solicitor, Mr. Trujillo represented the Mayor, City Council and all departments, agencies and commissions of the City of Philadelphia. He also sat on the Mayor's cabinet and ran the 155-lawyer Law Department. As a leader in the business community, Mr. Trujillo plays a major role in public and private economic development. He is co-chair of the 2016 Democratic National Convention Host Committee. From 2009-2012, he served as a Commissioner of the Pennsylvania Gaming Control Board regulating Pennsylvania casinos. In 2011, Mr. Trujillo purchased WHAT 1340 AM radio station and relaunched it as El Zol Philly, a Spanish language contemporary hit radio station now on 97.1 FM. In 2008, Mr. Trujillo was appointed to President-Elect Barack Obama's Presidential Transition Team, where he served on the agency review team for the Securities and Exchange Commission. In 2003, Mr. Trujillo served on the Executive Committee of Governor Ed Rendell's Transition Team as counsel and shortly thereafter, Governor Rendell appointed Mr. Trujillo to the Board of Directors of the Pennsylvania Intergovernmental Cooperation Authority, the entity that oversees the City of Philadelphia's finances. In 2005, Governor Rendell appointed Mr. Trujillo a Commissioner of the Delaware River Port Authority. Mr. Trujillo serves as an Adjunct Professor of Law at the University of Pennsylvania Law School. He is resident in the Firm's Philadelphia office. In the securities litigation arena, Mr. Trujillo represents large private and public investors and companies in shareholder disputes. Part of the trial team for United Engineers & Constructors, Inc. in In re: Washington Public Power Supply Systems Securities Litigation, the largest municipal bond default in U.S. history. Served as co-lead counsel in a case against KLA Tencor involving the back dating of stock options that resulted in a $65 million settlement. Represented several Commonwealth of Pennsylvania funds in litigation arising from the funds' purchase of Time Warner and AOL securities, which resulted in a $23 million settlement for the funds. Defended and resolved civil rights class action case against the City of Philadelphia over strip search policies. Brought in to resolve multiparty, multimillion dollar dispute involving various wrongful death matters. Mediated multimillion dollar dispute between city agencies. Mediated dispute between community groups and financial institution due to branch closings. Obtained $50 million settlement as co-lead counsel in a multidistrict antitrust matter involving the pricing of laser vision correction procedures. Brought cutting edge handgun litigation on behalf of the City of Philadelphia and other cities and settled case against Smith & Wesson. Advised the City of Philadelphia and the mayor in implementing the Neighborhood Transformation Initiative. Represented the City of Philadelphia in the development of Lincoln Financial Field and Citizens Bank Park.